I am the guy installing an 08 Fit Sport A/T swap into an 02 Insight, paddle shifters included. Hood hight in my car is much lower so a custom intake manifold is happening. I can tuck it low on valve cover and tank would hang off above header, in effect lengthening the stock manifold about an inch, or I can run a 5 inch shorty with a 3.5 inch plenum. On the exhaust side I can basically build a 4 into 1 with 39" primaries (and no flex till then) or a tri Y with 18" primaries/flex (practical). Id rather not lose bottom end power and stock cam is staying. Im thinking 2" inch exhaust but it will be most definitely quiet regardless of power penalty. Flash pro is also happening. I will run 91 gas and MPG is important. Im not building a race car but I will take all the performance I can get when the pedal is down. I'd rather not debate header/intake theory but since I have zero drive time with this engine much less tuning, I hope I can get some good opinions, theories, or exact lengths as she is going together quick! Last edited by Bongobennie; 09-03-2016 at 09:17 PM. Bump for a nagging question, at this point Im considering a drop in cam as well, remember its an automatic. 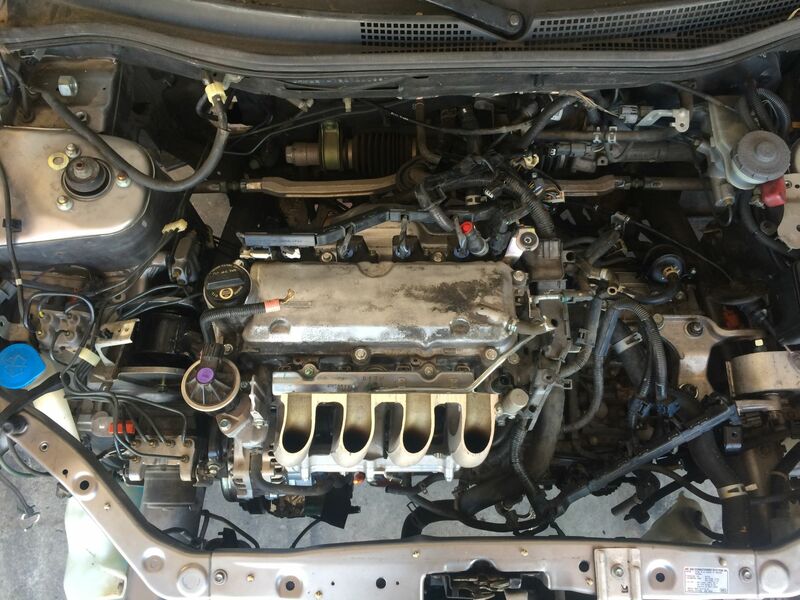 How far would you need to move the engine in order to retain the stock intake? COULD you use spacers to effectively lower or rotate the entire drivetrain enough to clear the hood? Is the body of the car in pristine condition, or is it one that looks like someone parks using braille? If you bend the hood upward a bit in the middle (close it on a 2x4 LOL) would anyone give it a second look? Fab up a set of short ram tubes attached to a log with throttle body, hanging on the front of the engine? 3D print a complete manifold? IDK. I deal with 99.9% stock OE stuff. I am also considering a 5psi turbo kit since FlashPro will be in the mix as well..... I just wanted to stay as stock as possible in the beginning. What does your exhaust manifold look like?